If you buy a new mobile phone you need to transfer all your contact data from old mobile phone to new phone. Here is a handy guide on how you can transfer your contacts from one phone to another with minimum hassle. A video showing the collection of Halloween Google Doodles starting from the year 1999. This year Google has also released the behind the scenes video of Halloween doodle 2011. Watch the creativity at Google on all these amusing Google doodles. [Video] Android IceCreamSandwich Phone Galaxy Nexus is here!! Google has released the new version 4.0 of Android OS named “Ice Cream Sandwich” on Samsung smartphone Galaxy Nexus . This new look Android OS ”Ice Cream Sandwich” includes novel features like Face Unlock, Android Beam to share content between two phones,A desktop class browser and new aesthetics. See this video to appreciate a new smartphone which is “Beyond Smart”. How to move all facebook Photos to GooglePlus? If you have joined Google Plus and want to move all your photos or pics from Facebook to Google Plus then here is a Chrome app for it. This app transfers all your Facebook photos to Picasa web albums making them available in Google Plus for sharing with your circles. 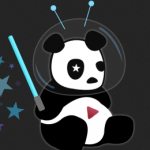 Youtube has released an experimental project called “Cosmic Panda” which lets you try out Youtube’s new interface. Check it out it is COOL!!! 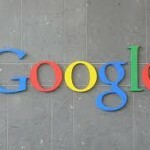 Google has launched its own Social Networking Service called Google Plus. Internet world is abuzz with updates about this service which is being billed as a potential “Facebook killer”. However, many of us have not been able to join Google Plus as it is “By invitation only” now. However you can see a video tour of Google plus in this video by Lifehacker. Nicely explained!! Google has already redisigned its search page and given it a new look. Now the Gmail is also being given a new design in line with Google’s new search page to have a consistent look on Google and Gmail. 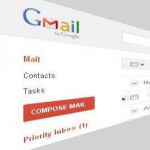 Read on to find out how to enable Gmail’s new beautiful upcoming design. Google over the years has posted many amazing doodles on its homepage. Some doodles are interactive and animated and you can spend fun time playing with them. Here is a compilation of 10 such amazing interactive Google doodles over the years. 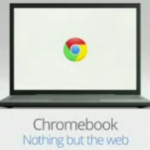 Chromebook – 5 worthy reasons why not to buy one!! Google’s Chromebook start shipping a few days back. Many of you may be thinking of buying this “new kind of computer“. Let us analyze step by step if a Chromebook is really worth buying or not! !